The University of Sydney Library Printer in Residence Program is an 8 week residency, supported by payment of $5 000, to take place during Semester 2, 2019. Fisher Library is the home to a printing workshop housing an Albion Press, affectionately known as the Piscator Press. The Albion printing press was purchased by the library in the early 1960s and it was the passion of former University Librarian, Harrrison Bryan. The workshop also houses a second, smaller printing press. A 3D printer is also available for use in the library. The printing workshop is located on level 1 of Fisher Library on the Camperdown Campus and has a direct affiliation with the University Library’s Rare Books & Special Collections. The Printer in Residence program is intended to increase awareness of the Piscator Press and to encourage an ongoing enthusiasm for book arts within the University. We also aim to foster a creative dialogue between print and digital processes, therefore encourage proposals that explore both areas. 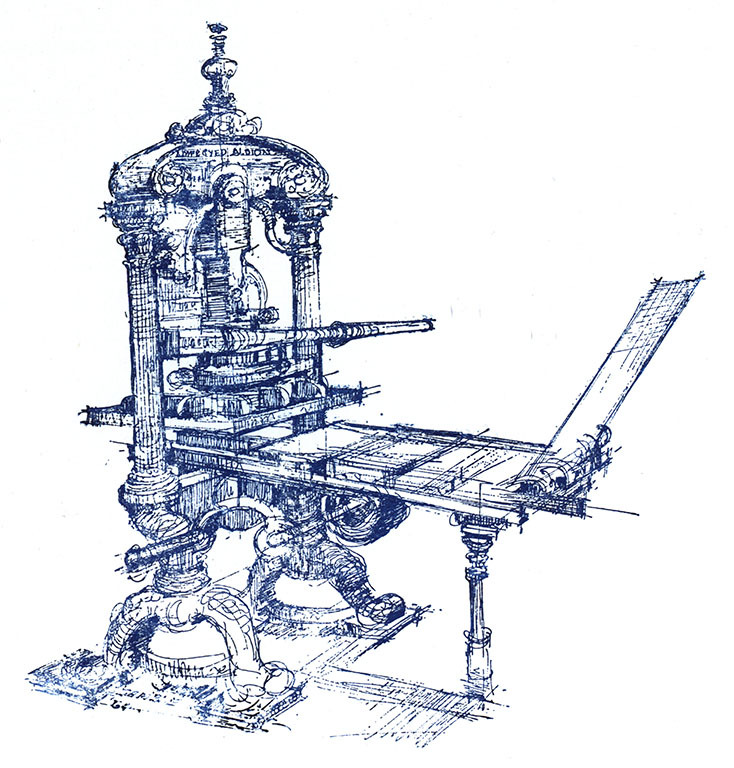 Image: Piscator Press : an original pen and ink drawing of the improved Albion hand-printing press, by Allan Gamble. Sydney, 1964. RB 770.1 20.